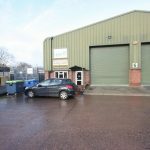 Ilton Business Park is an ideal place for your business be it a small local set up or a larger concern requiring good access to the south west or national networks. The M5 motorway (Junction 26) and both the A358 and A30 are all within easy reach of the site. We pride ourselves on having a well established business park with long standing tenants, both local and national businesses. The site is a very friendly one where the tenants all know one another and help each other out when needed. We have a regular sandwich/hot snack van and a huge benefit is a manned estate office to help with any queries or problems. The site offers 24 hours access to all tenants via gated security. We also have cameras covering the site and security lighting is free to tenants. There are no maintenance charge. The small town of Ilminster with supermarkets, filling stations and local shops is just five minutes drive away whilst the county town of Taunton is some 10 miles distant. You can usually find units available to let on our website but please note that it is not always possible to display each one so please contact us if you do not see exactly what you want.